Consider Hansen Dam Horse Park for your location shoot. 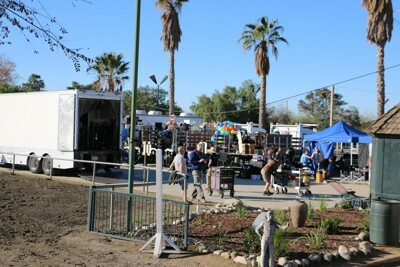 In addition to a variety of horse theme settings, our outdoor location and adjacent location to Hansen Dam Recreation Center provides you with a variety of creative options while you base out of one convenient location.Conveniently located less than five minutes off the 210, HDHP is just a short distance from Burbank and Los Angeles. activity enjoyed by an audience. settings all within minutes of HDHP. In addition, HDHP can serve as your base camp, whether for your shoot on our property or a shoot at nearby locations. We look forward to discussing your location shoot needs and ideas. You will find our rates competitive and our staff support responsive and professional.